Are you the owner of an investment property? Is your asset making or costing you money? Think the “right” tenant is going to come knocking on your door, and ask if they can move all their furniture in and pay you rent? Think again. Renting out an unfurnished apartment is a lot more difficult than renting one that is already furnished. A furnished apartment or house can be attractive for owners and renters. This is especially true in cases for people who travel for long term, or short term stays and need a hassle free place to rest their heads. This convenience is one of the reasons why you can up the rent on your furnished apartment. Furnished apartments are usually more expensive to rent than non furnished apartments. This is because they offer expediency, renters only need to bring their clothing and personal items with when they sleep there. As the owner, you are responsible for providing the essentials, at your own cost. This means spending on beds, couches, tables and chairs, lamps and other home furnishings initially. Although you are taking on a pricy venture, you are making the apartment accessible to more people. This is precisely the reason why you can charge more for rent. You provide a service, which is a furnished apartment for people to rent, and all the tenants have to do is stay and pay. So, the cost of renting is higher because it reflects the efforts you have put in, and secures your assets. Typically, owners of furnished apartment rentals charge a security deposit. The price of it ranges from place to place and is sometimes a total of the first and last month’s rent. Basically, the money that is collected is like insurance, it is held to assure the owner that the renter is responsible for keeping the unit in good condition. Upon the ending of the stay duration, if everything in the rental appears to be normal, the renter gets back their deposit. However, in instances where damage has happened, the security deposit is forfeited and allocated to repairing the losses. The renter may be accountable for paying more if the deposit isn’t enough to cover the damages. 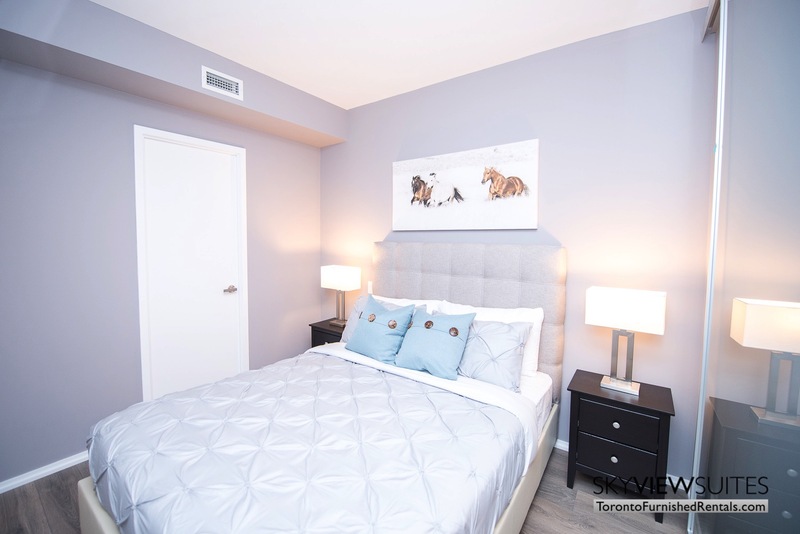 To guard your investment while renting your furnished apartment, it is sensible to supply the lessee with an itemized inventory of the items incorporated in the rental. Generally, rent is related to your expenses of owning and maintaining the property and should include the furnishings plus your preferred profit. Compare the cost of rentals in your neighborhood, and take into consideration the features and furniture of your property. Charge rent that will meet your needs and still be competitive. If administrating all this sounds like more work than you can handle, let SkyViewSuites manage your furnished apartment.